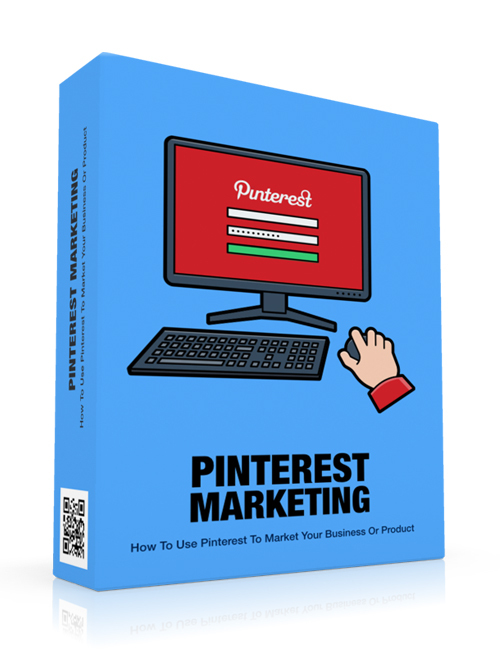 Pinterest Marketing is simply a visual bookmarking tool where people search to create and save ideas. This download teaches you how easy it is to use this platform to build credibility for your online business. Inside you will learn the basics of Pinterest, how to get started, and other points of interest that are going to help you reach your business goals faster. Consumers are susceptible to attractive visuals above all and that’s one pointer that makes Pinterest such an important tool in any online marketing campaign. Pinterest is fun and inviting and easy to use. All of this you will learn and from there you’ll establish the confidence and know-how power to use Pinterest to your full advantage. The online business world is tough and you need every advantage you can get in order to succeed long-term. Useful tips are explained along with the dos and don’ts that are often overlooked. The fast route is always the best when it comes to making money, don’t you think? Pinterest Marketing delivers the solutions today you need to build a stronger more lucrative platform tomorrow.